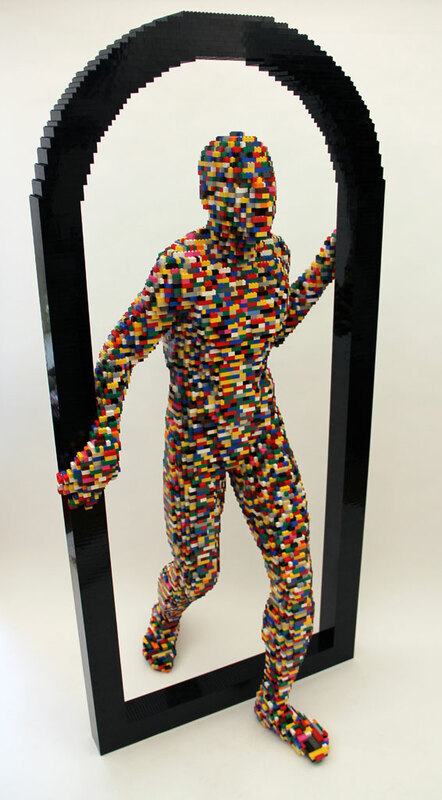 From November 22, 2013 to April 21, 2014, the Brussels Stock Exchange will host a truly unique art exhibit: THE ART OF THE BRICK. 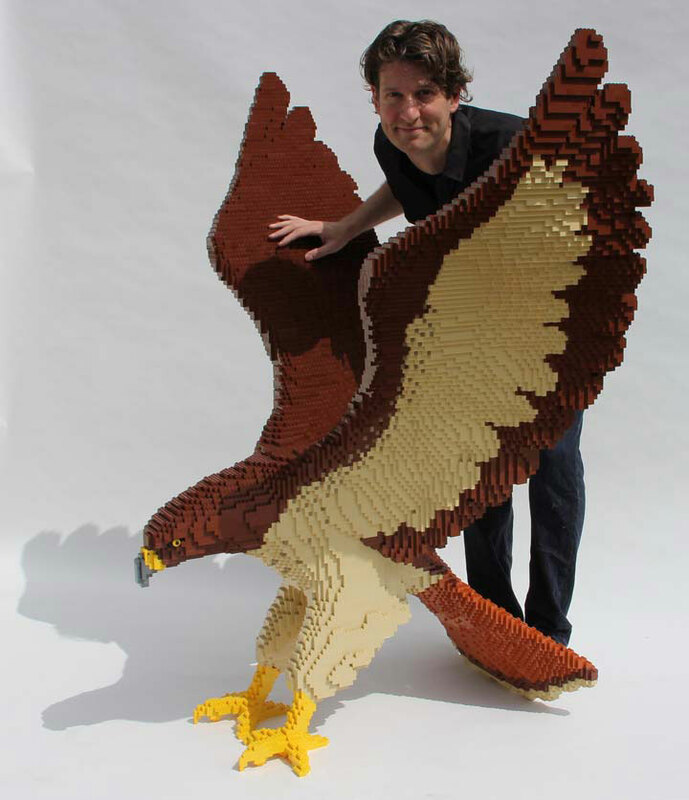 This exhibit showcases more than 60 imposing and fascinating works of art, made with the famous LEGO bricks. All these wonders are the product of the wild imagination of the US artist, Nathan Sawaya. This exhibition has already attracted over 1.5 million visitors in North America, Australia and Asia. The arrival in Belgium of this exhibit, which is aimed at a wide audience, will be the European Premiere. THE ART OF THE BRICK exhibition is displayed on a surface of 1,300 m² more than 60 impressive new objects in a new genre : exceptional works of art created with hundreds of thousands LEGO® building blocks. Whether real or fictional, the characters and objects created by Nathan Sawaya are amazing and leave visitors completely speechless. This travelling exhibition is one of the most extraordinary and innovative exhibitions in recent memory touching both young and old and thus truly accessible to all. For CNN, this is « One of the Top 10 Must See Global Exhibitions ». Among the most stunning and unexpected 3D creations, THE ART OF THE BRICK exhibits reconstructions, often interpreted, of universally known works of art, like Rodin’s « The Thinker », the « Venus de Milo », Edvard Munch’s «The Scream » – where the hands and head explode from the 2-dimesional to the 3-dimensional ! – or « The Arnolfini Wedding Portrait » by Jan van Eyck – where the characters are outside the painting. When discovering the various exhibition spaces, the visitor will suddenly encounter the North transept rose window of Chartres Cathedral, a Buddha or huge sculptures like this 6 metre long T-Rex skeleton made out of 80,020 bricks. Other works are completely new creations from the artist’s imagination : a female swimmer, a man opening his chest to reveal a treasure of LEGO® bricks, another losing his hands, human figures topped by a geometric shaped head… For the Brussels Stock Exchange exhibition, Nathan Sawaya has even designed a… Manneken Pis! • The exhibition takes place from 22nd November 2013 to 21st April 2014 at the Brussels Sock Exchange, 1 place de la Bourse, 1000 Brussels, seven days a week, from 10:00 to 19:30 h (last entry: 18:30 h), with late night openings on Wednesday until 21:00 h (last entry: 20:00 h) . • The exhibition offers an audio guide, an interactive and building area, creative workshops, public guided tours on Saturday, the perfect excursion for groups (schools, associations, companies), accessibility to persons with reduced mobility, preferential rates for children, students, seniors, families and groups. Da würde ich auch gerne hinfahren. Das ist garantiert überaus interessant. Thanks for the comments. You should certainly go. That would be very interesting. Please do share your experiences as well! Previous page Previous post: A glimpse of private art collections in Brussels! !